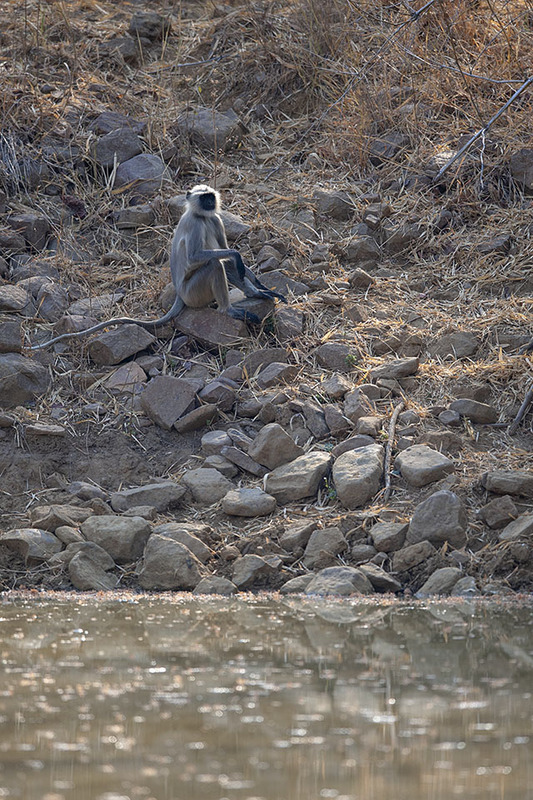 With no luck in spotting a Tiger in Pench, we shifted base to the Tadoba National Park. Soon we were deep inside the park waiting at a waterhole for the popular Tigress, known as Maya. All possible parking spot was taken at the waterhole. 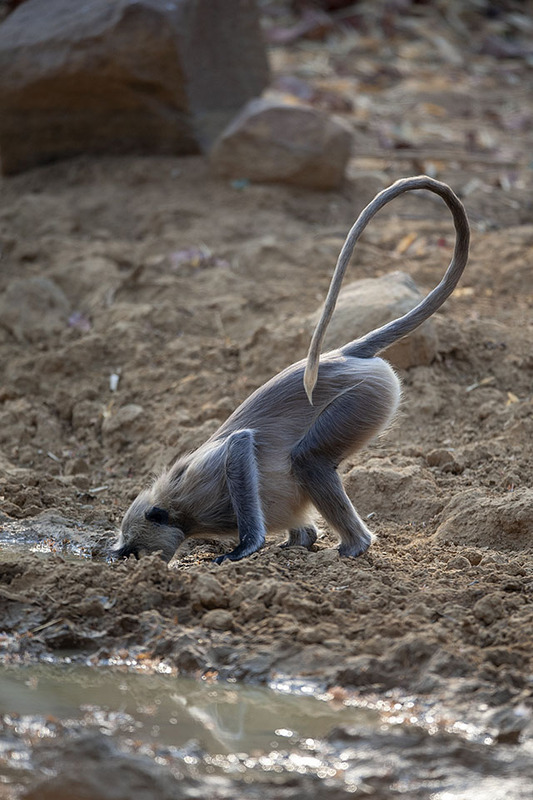 It was as though every naturalist was 100% sure that the Tigress will visit this waterhole. We waited. And waited and waited for a couple of hours. But there was no sign of the Tigress. 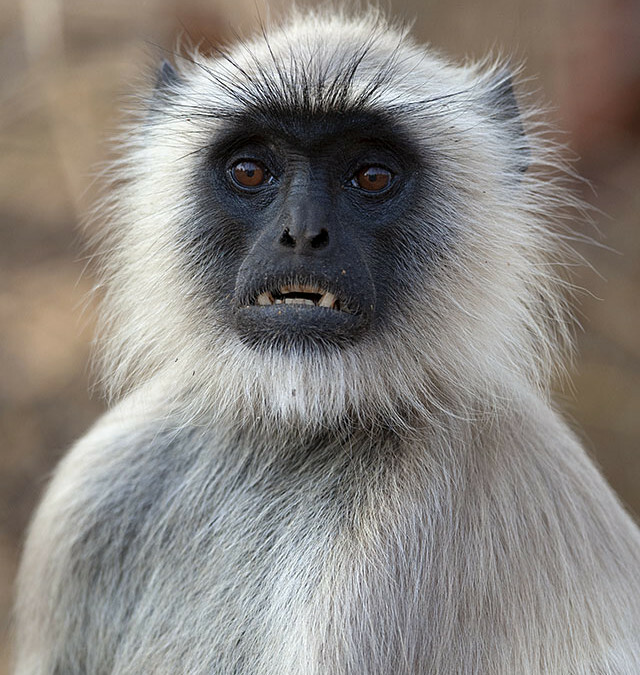 Infact even the Langurs were cautious and not a single one came down to drink water even though the temperature was soaring in the high 40s (celsius). 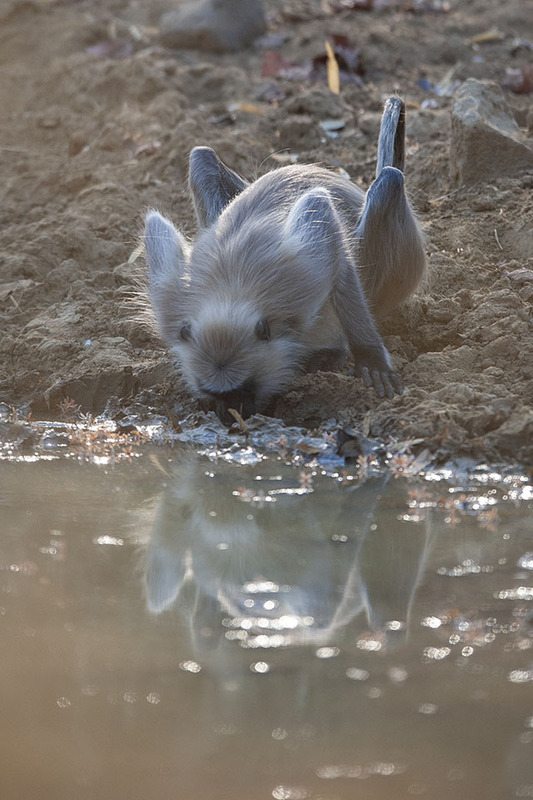 Finally, one of the Langurs gave in and came down to the waterhole and quenched its thirst. 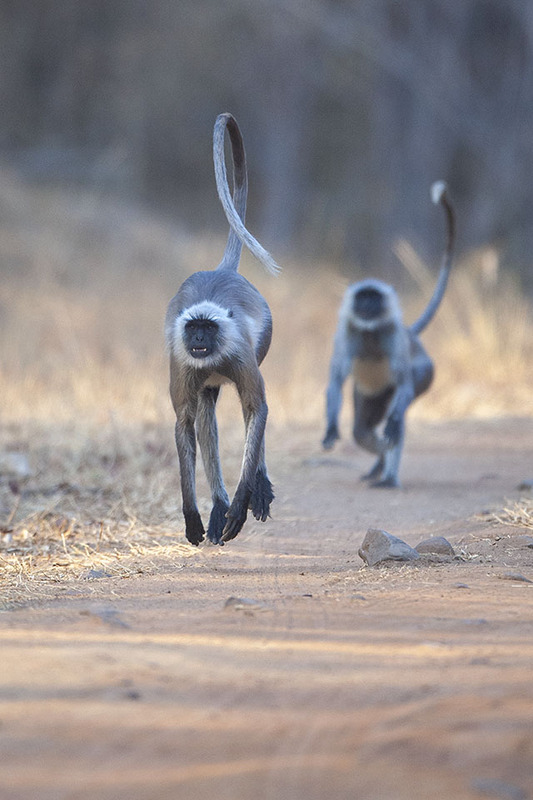 It was as though the platoon of Langurs were waiting for someone to make the first move. 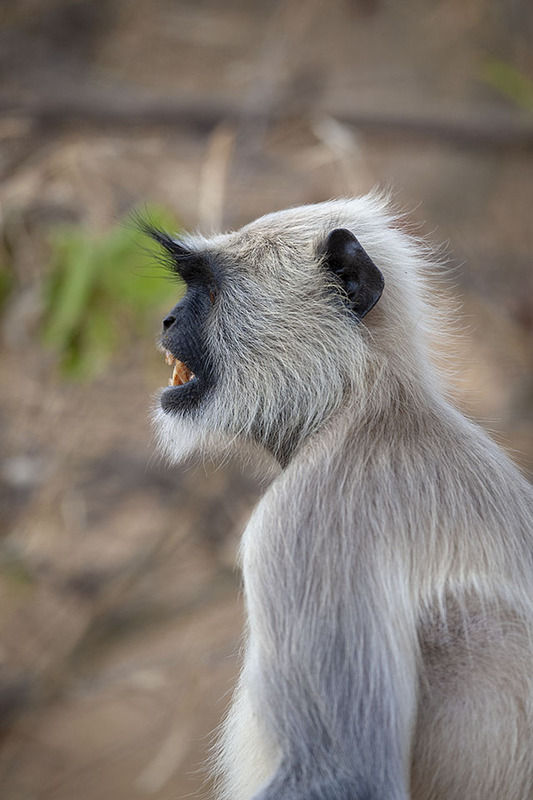 Soon Langurs were coming to the waterhole from all directions, and the Alpha male was getting frustrated with resulting chaos. 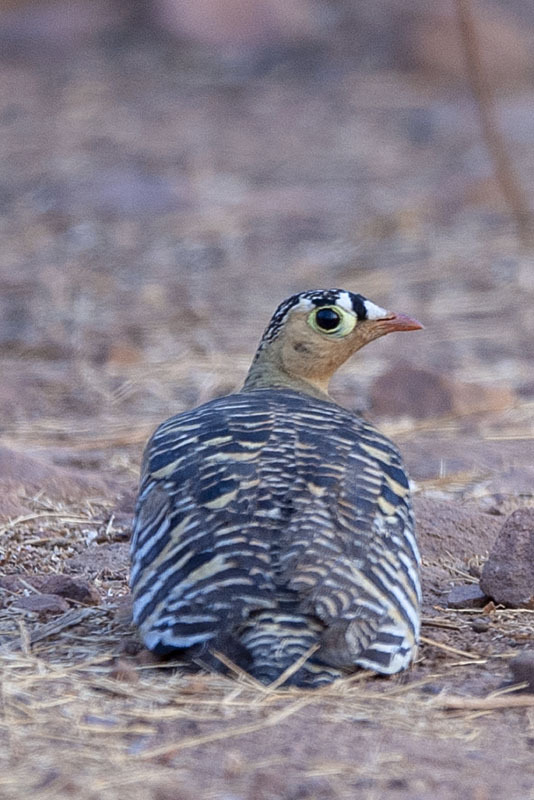 It was time for us to exit the park and as we did so, we spotted this Painted Sandgrouse.